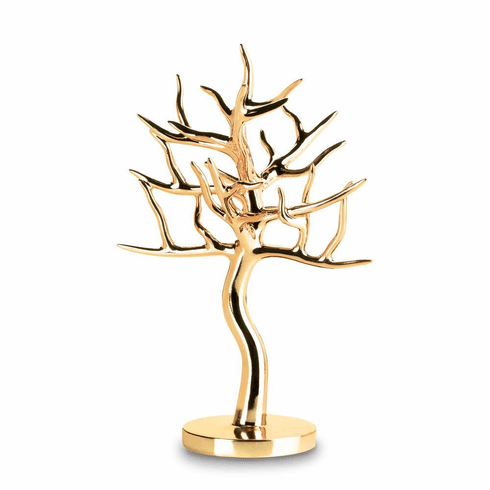 Hang your favorite jewelry in style with this shimmering golden jewelry tree. It's the perfect artistic addition to your counter or dresser! It looks like a sculpture but is truly functional when you hang your rings, earrings, and bracelets from its branches. Weight 1.2 pounds. 8" x 6.38" x 12.5". Polyresin, Felt Pads. UPC Number: 849179036515.